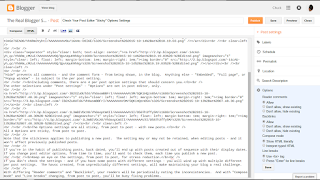 The "Reader comments" setting, for any new post, is taken from the setting for the previously published post. 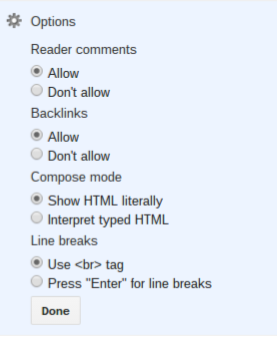 If you publish a post today, with "Reader comments" selected as "Don't allow", the next post will also be set to "Don't allow" - unless you change the setting, before publishing. Similarly, if it's set to "Allow", the next post published will have it set to "Allow". That's the choices, for each new post. If the setting for any post is wrong, according to your policy, it's up to you to change the setting, for that post. Since the per post setting overrides the per blog setting, any existing posts, with the setting "Don't allow", will not allow comments. To change this, you have to edit each post, one by one, and change the setting. If the setting is "Allow", and you want to disable comments, you have to change the per post setting, one post at a time. Again, any new posts will then have the setting "Don't allow" - but any existing posts will have to be changed, one post at a time. If you occasionally disable comments, check this setting before you publish a new post - and make sure that comments are enabled, when appropriate. If you backdate a post, and publish it before any previously published posts, the setting for the previously published posts won't change. If this creates a range of posts, with inconsistent settings - some allowing comments, the others not allowing comments - you'll still have to change the setting as you wish, for each post, one by one. If the setting for a post is currently "Allow", and a post has comments, you'll have 3 options for that post. That's the choices, for each post with comments. 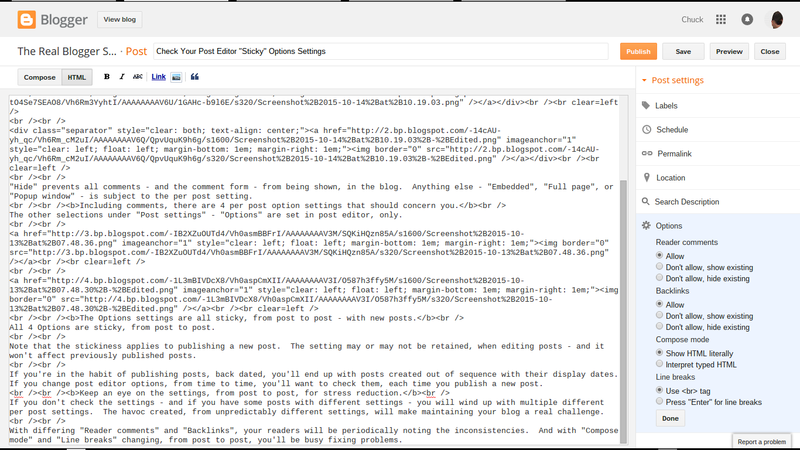 If you're in the habit of changing the comment setting for various posts, you'll want to check the setting, for each new post - and make sure that it's appropriate. Better that, then to have to change a whole bunch of posts, one by one, later.